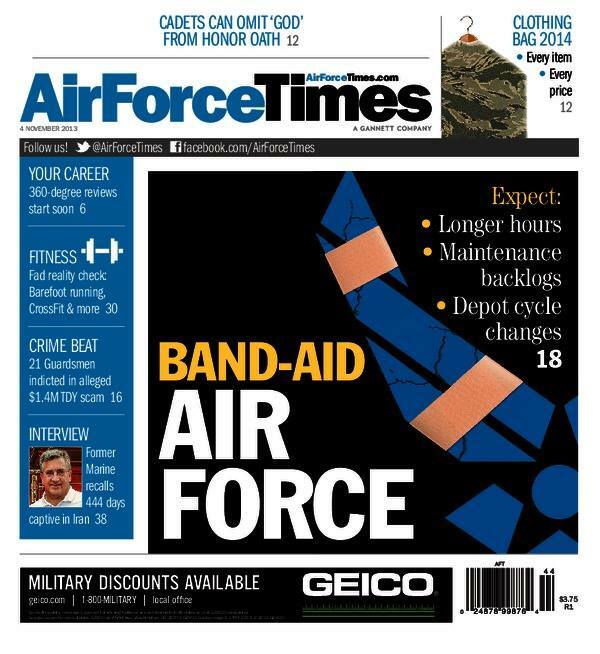 This week’s Air Force Times takes a look at how the combination of aging aircraft and steep budget cuts are taking their toll on airmen. Unless budget cuts are reversed, airmen can expect to work longer hours and deal with maintenance backlogs and depot cycle changes. In other news, enlisted airmen will get slightly more for their clothing allowances this fiscal year. We break down exactly how much you will receive for each clothing item. Also this week, you can read how the class ring of a pilot shot down over Vietnam was returned to his family decades later. The man’s brother is Michael Wynne, former Air Force secretary. Meanwhile, Maj. Gen. Steven Kwast, who is heading the Air Force’s portion of the next Quadrennial Defense Review, sat down with Air Force Times’ sister publication Defense News to talk about the review and the future of the Air Force. And a prominent Democratic lawmaker has sustained her objection to Lt. Gen. Susan Helms’ nomination as vice commander of Space Command for the past six months, making it unlikely that Helms will ever be confirmed.